Developer: Avalanche Studios Year of cancellation: 2010 Swedish devs Avalanche Studios are a fun studio that have brought us such entertaining games as Just Cause 2 and Renegade Ops. 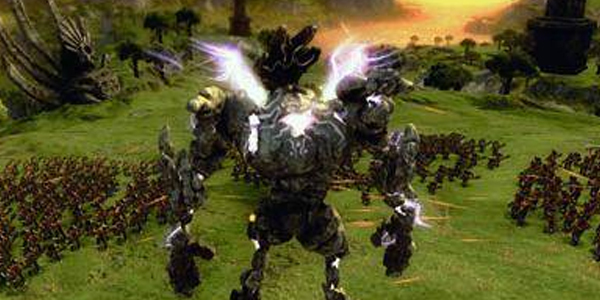 During 2007, they started work on AionGuard, an action-strategy game that was to take place during the World War I era. It sounds pretty fascinating, as World War I is a setting that has never been explored much on consoles, outside of the FPS genre. Unfortunately, publishers Eidos Interactive decided that they didn't like the idea of it, and forced AionGuard to be totally re-themed to science fiction late in development. Then, once that was done, Eidos decided that they actually wanted AionGuard to have a fantasy theme, so poor old Avalanche Studios complied. Eventually, the tugged and pulled game was announced as being cancelled in 2010, though Avalanche Studios claim they might resume development at a later date.